The East African Community is a regional intergovernmental organization comprising the Republic of Burundi, the Republic of Kenya, the Republic of Rwanda, the Republic of South Sudan, the United Republic of Tanzania, and the Republic of Uganda with its Headquarters in Arusha, Tanzania. This is an exciting opportunity for highly motivated and result-driven professionals who are citizens of East African Community Partner States of Burundi and Rwanda to apply for the following position tenable at East African Community-Secretariat. The Partnership Officer will help weave collaborative relations that enable EIHP to effectively fulfil its mission and specific objectives. He/she will identify and nurture such relations focusing primarily on funding, program development and communications. 8. Provide substantive support to consultative and other meetings, conferences, such as Multisectoral Joint Steering Committee (MJSC) on SRHR, HIV and AIDS; the Partners forum and the Joint TWG on EAC Multisectoral TWG on the integrated SRHR, and HIV and AIDS meetings etc. including, preparation of documents and presentations, etc. 10. Performs other duties as required. Bachelor’s degree in Public health, business administration, international relations, political science, or a related field is preferred. The Masters degree in the above fields is an added advantage. Experience in working in an international environment is an added advantage. • Sense of initiative, discretion, mature judgment, and entrepreneurial spirit is required. Capacity to effectively interact with a multiplicity of stakeholders including senior leaders. • Innovation and strategic thinking are highly valued. • Working flexible hours to engage partners in multiple time zones. 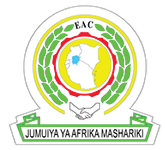 Considering the directive of 35th Meeting of the Council of Ministers, only Applicants from the Republic of Burundi and Republic of Rwanda are eligible to apply for the Positions of EAC Integrated Health Programme - Monitoring and Evaluation Officer and EAC Integrated Health Programme - Linkages and Partnerships Officer.